Much to my wife's chagrin, I watch just about any sport that's on TV. Out of all the major sports, there are two that are much better in person than on TV. Hockey has action all over the ice which is tough to televise and baseball can be slow when watching on your couch. The best way to experience baseball is at the park. Whether it's little league or professional, eating a hot dog and drinking a beer is what baseball is all about. 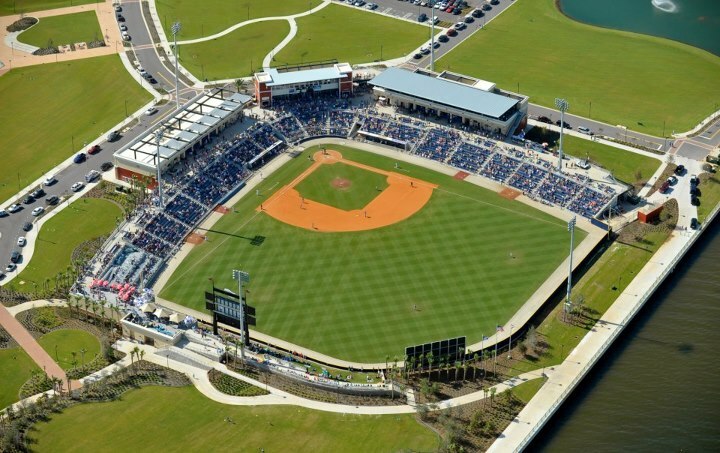 This past season saw Pensacola get a AA Minor League Affiliate, the Blue Wahoos. The new stadium was a long time coming and provides downtown Pensacola with a lot of momentum. It sits on Pensacola Bay with a beautiful amphitheater behind center field. There is now a major reason to visit Pensacola other than the beach and history. Growing up, some of my great memories are going to baseball games. The time we went to an Orioles game at the old Memorial Stadium and our car was in an accident before we parked. After the game, we came back to find the car towed and ended up walking around not-so-safe Baltimore where my grandmother ended up falling and breaking her arm. A's games in Oakland where I convinced Rickey Henderson to leave the Yankees and join the A's again. San Francisco Giants game at Candlestick Park where we witnessed a no-hitter get broken up with two outs in the 9th inning when Paul O'Neill broke hit a Texas League blooper over the shortstop's head. We were also in an accident on the way to that game too! Professional football is currently the most popular sport in America while baseball is second. If you combine professional and college football together, there is a 22 percentage point difference in popularity between football and baseball. With the changes for player safety in football, I wonder if baseball's popular status will grow. Baseball must take advantage of this apparent weakness in football and attract more athletes from the football field.